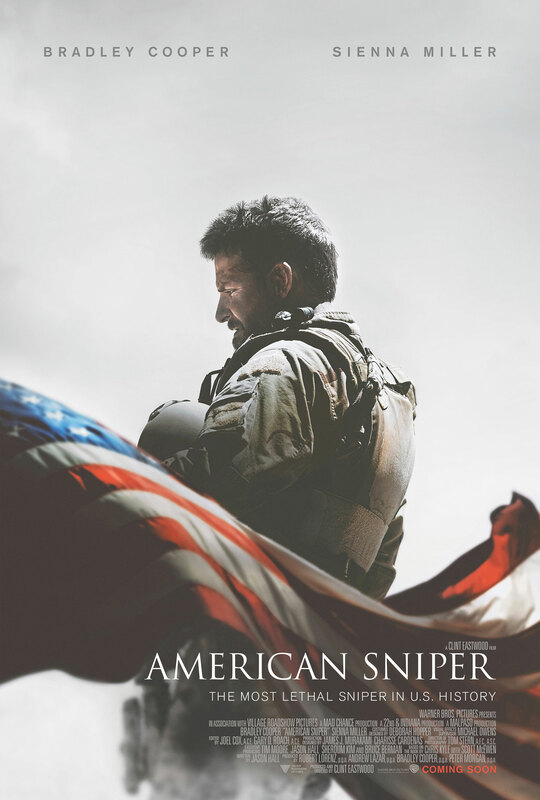 I knew before seeing the film AMERICAN SNIPER that its politics were not in sync with mine. I’d heard enough from friends and from the news to know that people were having serious issues with the film while others were celebrating it. Yet I tried to know as little as possible about the plot. I wanted to see for myself how the film played, what the message was that I took away from it. I had heard that the title character was painted with much grayer tones than the black and white mentality that Chris Kyle apparently exhibits in his book of the same name. I was hoping, to an extent, that perhaps Eastwood’s film was polarizing because of its grey areas, that it might have been more open to interpretation, more provocative, even if I didn’t personally agree with all its sentiments.